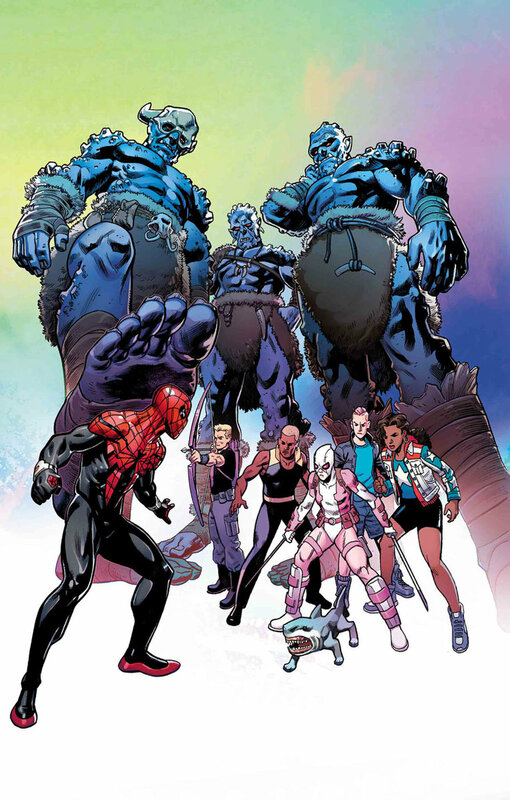 Marvel Comics Universe & June 2019 Solicitations Spoilers: War Of The Realms Endgame For $100 Over 24 Titles Including Avengers, Captain Marvel, Asgardians Of The Galaxy, Ares, Thor, Giant-Man, Spider-Man, Uncanny X-Men & More! 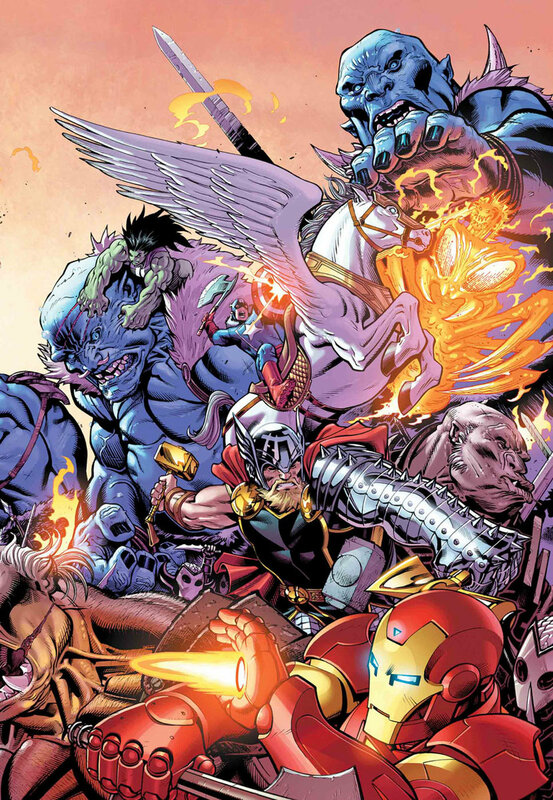 War Of The Realms Endgame For $100 Over 24 Titles With Avengers, Captain Marvel, Asgardians Of The Galaxy, Ares, Thor, Giant-Man, Spider-Man, Uncanny X-Men and More! 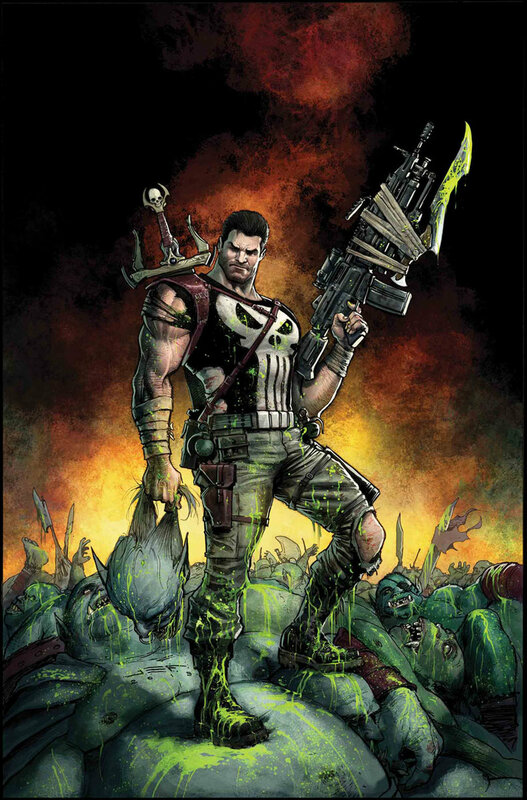 Solicitations and covers below. THE WORLD’S SHATTERING CONCLUSION OF WAR OF THE REALMS! PLACE YOUR BETS – ON SURVIVAL! When Balder the Brave’s unofficial babysitter’s club runs out of cash in Nevada, they hit on a foolproof plan: a casino heist! They just have to disguise a few famous heroes, a cyborg, an Asgardian god and a talking dog to do it. With the luck of baby Laussa on their side, nothing could go wrong! Unless of course they stumble upon…a convention of SUPER VILLAINS? What the heck, Nevada. Looks like the heroes will need a miracle in the desert to get out of this one! THE GOD OF WAR FINALLY GETS HIS HANDS ON THE HOTTEST BABE IN TOWN! Baby Laussa, that is! 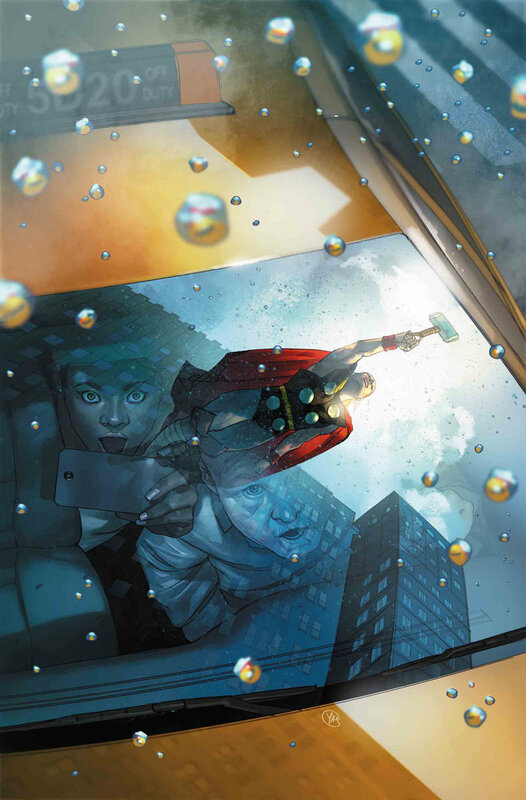 Thor’s little sister has been kidnapped — and she’s bound for fiery Muspelheim! But Balder pledged his life to ensure Laussa’s safety, and he’s not about to break his vow. 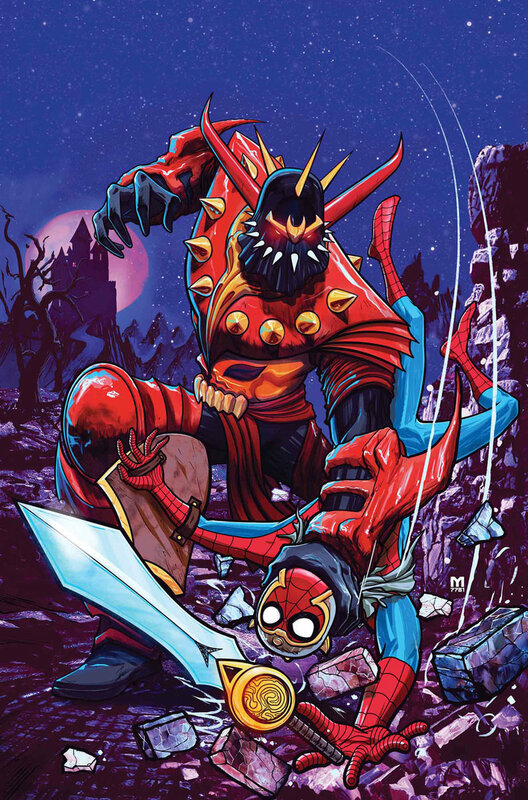 Even Kate Bishop, Miles Morales, Death Locket, Sebastian Druid and Wonder Man are no match for Ares, though — not when the entire Earth is at war. To save Laussa and stop Ares’ rampage, they’ll need some divine intervention. Superstar podcasters the McElroys bring baby Laussa and her babysitter’s club to new heights in this exhilarating conclusion! 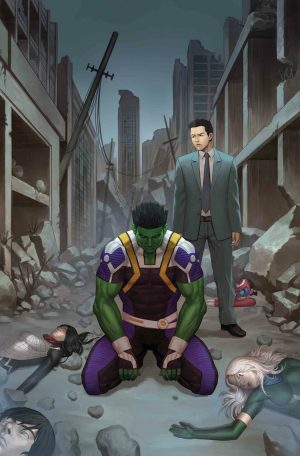 • AMADEUS CHO has always been the cocky rebel, bucking authority to do the right thing. 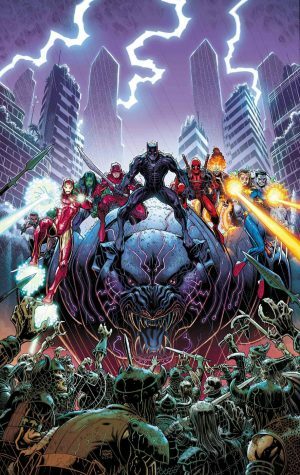 • But now he’s the authority — the de facto leader of a disparate group of heroes from all over the Pacific — each of whom has their own idea of the best way to free their countries from the fiery rule of the QUEEN OF CINDERS! • Can Amadeus pull these NEW AGENTS OF ATLAS together — or will QUEEN SINDR succeed in her ultimate plan to drive north and turn all of Earth into NEW MUSPELHEIM? • As the QUEEN OF CINDERS unleashes her endgame, AMADEUS CHO and THE AGENTS OF ATLAS face their greatest test, with the fiery fate of Planet Earth in the balance! • A team unites! A hero falls! And four female forces of nature come together for the final battle! 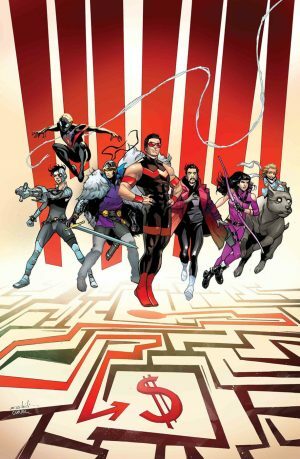 • The stunning conclusion of this WAR OF THE REALMS series — with shocking ramifications for Amadeus, SHANG-CHI, SILK, WAVE and all the heroes of the NEW AGENTS OF ATLAS! • Frank and his crew have almost made it to the other side of the Lincoln Tunnel. • But his band of killers is shrinking and the monsters keep coming. • Who will survive to New Jersey, and what will be left of them? • Spidey and the rest of his motley crew are fighting for their lives (and all of existence) against KURSE!!! • She was once a member of the League of Realms until Malekith made her into his right hand. Now Kurse can destroy the League, once and for all! The X-Men are under siege, holding the last refuge of humanity in Queens! Can they hold out through the endless winter of the war? Or will Sabretooth get his bloody revenge? 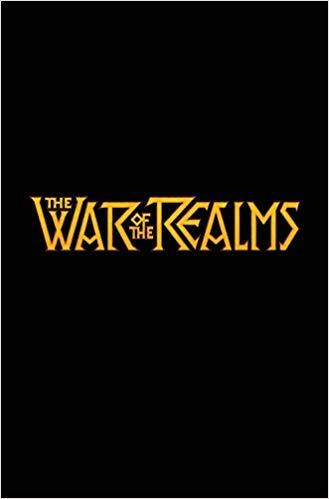 THE MUST-READ COMPANION TO THE WAR OF THE REALMS! 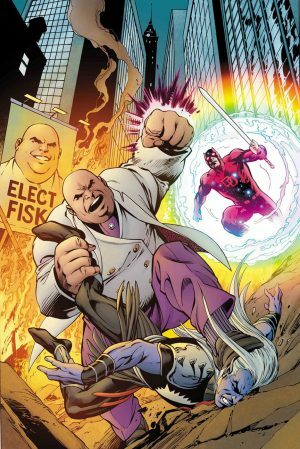 The Kingpin joins the battle for New York! And even with his new cosmic senses, the God Without Fear can’t touch the venerated Mayor…can he? 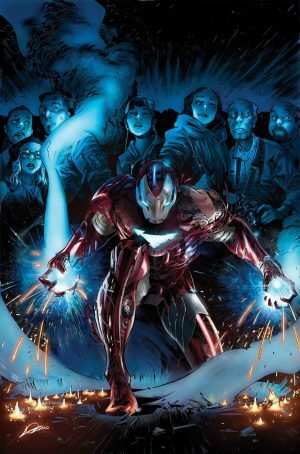 Jason Aaron and Andrea Sorrentino’s tale comes to a dramatic close! Plus, Halt and Catch Fire co-creator Christopher Cantwell and Nebula Award-winning novelist Charlie Jane Anders make their Marvel debuts with stories about Doctor Doom and She-Hulk! Moonstone’s army of primordial Frost Giants is gaining in number with every passing moment. 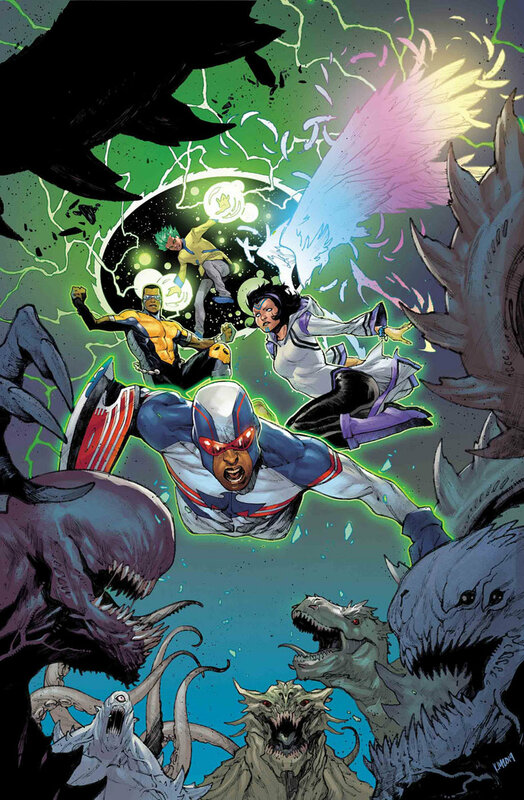 Only Ant-Man, Giant-Man, Goliath and Atlas can stop them! But an unseen enemy is about to get in their way… CAN YOU GUESS THE IDENTITY OF THE MOLE? 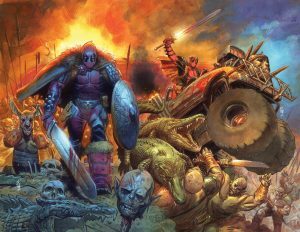 The final battle for Midgard! Captain Marvel leads the War Avengers! Hulk battles Ulik! 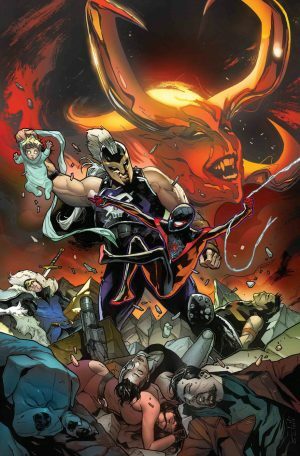 Blade takes on the Black Berserkers of Roxxon! Plus: Daredevil the God Without Fear has a cryptic message that will decide the future of the team. ANGELA VS. THE QUEEN OF HEVEN! Angela was kidnapped at birth, stolen from her Asgardian heritage and raised an outcast in the less-than-heavenly Heven. For years, she has wandered the universe as neither a true Asgardian nor a true Angel. Now she has the chance to repay her “debt” to the Queen who stole her away. The Asgardians of the Galaxy fight for their comrade and for all of Midgard in the depths of Heven-controlled Africa! The Dark Elf King Malekith and his allies have conquered Earth! At least, they THINK they have — and they’ve divided the spoils accordingly, with the Enchantress raising an army of the dead and staking her claim on South America. But if the Enchantress is expecting a royal welcome, she’s forgotten what she’s dealing with — Earth isn’t going down without a fight. And as Captain Marvel leads DOCTOR STRANGE and BLACK WIDOW into the land of the dead, nothing about this mission will be what our heroes expect. Captain Marvel’s got a magical right hook — but what happens when she loses her mighty fists? 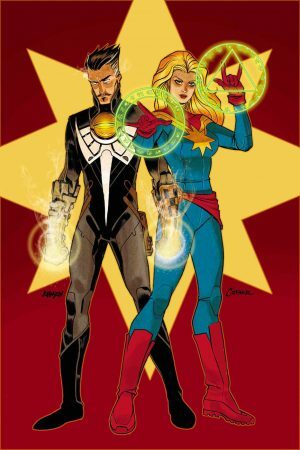 When a powerful spell from the Enchantress causes Carol and DOCTOR STRANGE to body-swap, everything about their mission is called into question. What was once a covert ops mission with BLACK WIDOW to take down the Enchantress and her “Land of the Dead” is now a comedy of errors — casting spells wasn’t exactly covered in Carol’s military training. 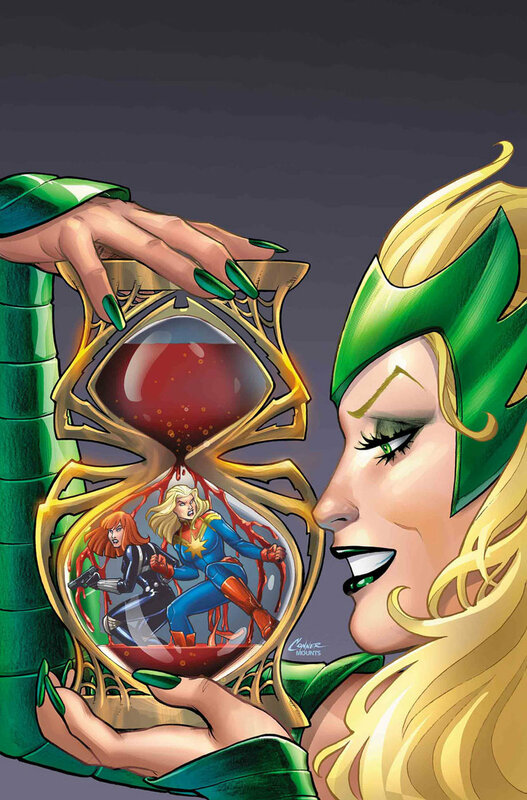 But Carol Danvers is more than her powers, and the Enchantress is about to discover that the hard way. 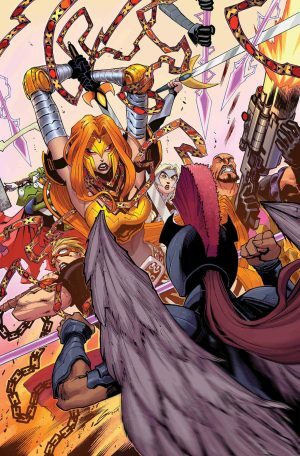 • The historic team-up of Ratatoskr – Asgardian chaos squirrel god – and Squirrel Girl – Midgardian squirrel, uh, girl – has not gone well! • Well, that’s not technically true: it’s gone well for Ratatoskr, who now has a human identity to play with…but this team-up hasn’t technically saved anyone yet. • And now it probably never will! 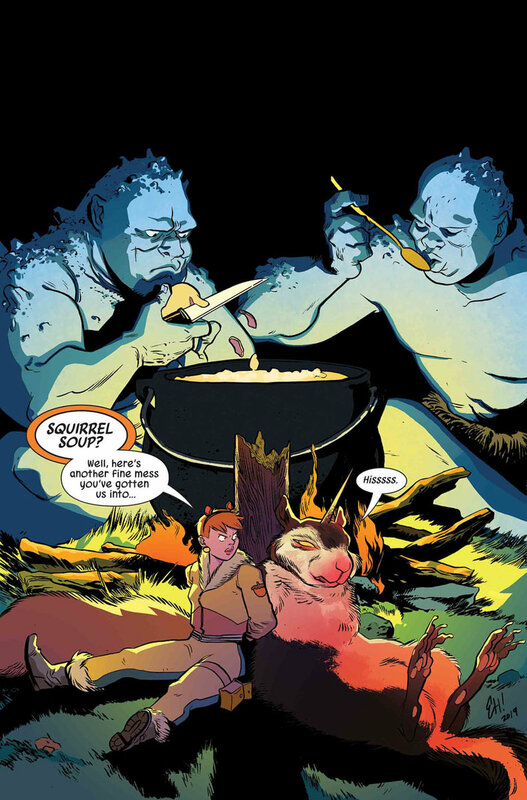 Squirrel Girl realizes that Ratatoskr isn’t playing by the rules, and they split up! • But can one girl save all of North America? And does one Asgardian chaos squirrel god have machinations going on beneath the surface? • Answers to these questions, plus fights, plus friendship, plus Frost Giants, PLUS some public domain poetry all await you! THERE IS NO MORE ALLURING A SENTENCE THAN THE ONE WE JUST TYPED. WE CHECKED, THIS IS IT! • Like the rest of America, the West Coast is overrun with Frost Giants and in CHAOS! • But Otto Octavius doesn’t settle for chaos and will WIN THE WAR OF REALMS SINGLE-HANDEDLY. • Well, maybe not single-handedly. He needs minions. Super-minions! So he recruits the WEST COAST AVENGERS! • Otto Octavius and Quentin Quire – BFFs! • With America Chavez as the power, transportation and…well…only real hero, can Superior Spider-Man and the West Coast Avengers help turn the tide against Malekith and his forces? 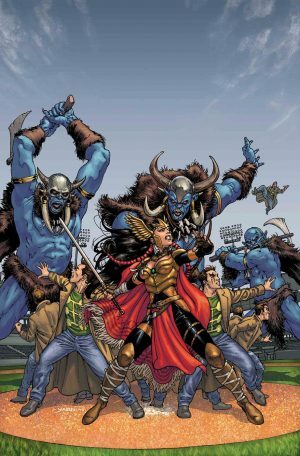 WAR OF THE REALMS TIE-IN! HOW TO FIGHT YOUR DRAGON! The concluding chapter to this special WAR OF THE REALMS story, as Iron Man finds himself struggling against the ancient mystical forces he has the LEAST power to resist. Tony fights an ancient winged calamity AND his own technology with the lives of everyone at STARK UNLIMITED hanging in the balance! 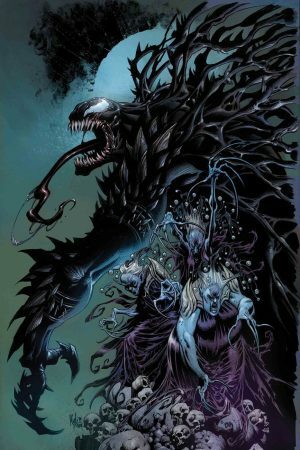 • Battered, bleeding and at the end of his rope, Malekith’s War Witches and their henchmen threaten to overwhelm Eddie Brock. • Meanwhile, Eddie still has 9-year-old Dylan in tow… Now he just needs to keep him alive.